This filter installs directly to the external water line so it fits all major brands of refrigerators and ice makers providing cleaner, clearer water and ice. It is WQA certified and reduces sediment and chlorine taste and odour. Push to connect fittings for easy do-it-yourself installation to 1/4 inch plastic or copper tubing. Lasts up to 9,500 litres. Fridge Filterz FAST FLOW FFWP-909-2 (2 Pack) (Standard 42) replacement refrigerator water filter is designed to fit Whirlpool*, KitchenAid*, Amana*, Maytag* & Jenn-Air using the 4396841 or PUR 2260515 Fast Fill* water technology with side by side, bottom freezer & French door refrigerators that have push button removal in the base grille. The FFWP-909-2 is tested to meet NSF/ANSI Standard 42, (taste and odour) Particulate Class I. It is designed to remove sediment, small particles and the chlorine taste and odour that may be present in your drinking water. Fridge Filterz are manufactured to the highest quality standard, providing you and your family with clean, fresh tasting, odour free ice and water without removing beneficial minerals and fluoride that may be present in your drinking water. All our fridge filters are made with environmentally friendly (green) carbon. Fridge Filterz FAST FLOW FFWP-909 (Standard 42) replacement refrigerator water filter is designed to fit Whirlpool*, KitchenAid*, Amana*, Maytag* & Jenn-Air using the 4396841 or PUR 2260515 Fast Fill* water technology with side by side, bottom freezer & French door refrigerators that have push button removal in the base grille. The FFWP-909 is tested to meet NSF/ANSI Standard 42, (taste and odour) Particulate Class I. It is designed to remove sediment, small particles and the chlorine taste and odour that may be present in your drinking water. Fridge Filterz are manufactured to the highest quality standard, providing you and your family with clean, fresh tasting, odour free ice and water without removing beneficial minerals and fluoride that may be present in your drinking water. All our fridge filters are made with environmentally friendly (green) carbon. Fridge Filterz FFWP-301-1 cyst filter (Standard 42 & 53) 1 Pack replacement water filter is designed to fit selected Whirlpool*, KitchenAid* & Kenmore* Front Grille 1/4 turn style refrigerators. This premium water filter is designed to remove sediment, Chlorine Taste and Odour as well as contaminants and heavy metals including Lead, Mercury, Lindane, 2-4-D, atrazine and benzene, to name a few, that may be present in your drinking water. This refrigerator filter replaces: Whirlpool* Filter 439651 4396164, 4396548, & 4392922 KitchenAid* Filter 4396163, 4396547 & 8212491 - Kenmore* Filter 46-9010, 9010. The FFWP-301-1 is tested to meet NSF/ANSI Standard 42 & 53, Particulate Class I, to ensure that you are getting a SAFE, quality product. Fridge Filterz are manufactured to the highest quality standard, providing you and your family with clean, fresh tasting, odour free ice and water without removing beneficial minerals and fluoride that may be present in your drinking water. Fridge Filterz FFFD-311-1 cyst filter (Standard 42 & 53) 1 Pack replacement water filter is designed to fit selected Frigidaire* & Kenmore* refrigerators. 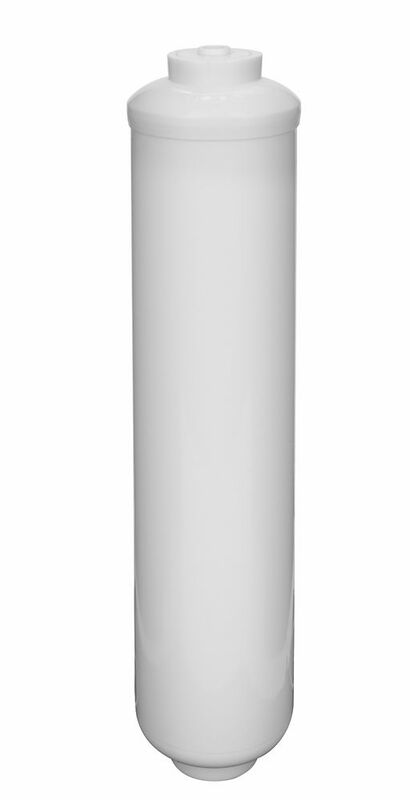 This premium water filter is designed to remove sediment, Chlorine Taste and Odour as well as contaminants and heavy metals including Lead, Mercury, Lindane, 2-4-D, atrazine and benzene, to name a few, that may be present in your drinking water. This refrigerator filter replaces: Frigidaire* Filter 5303917752, RF200, RC200, RD101 - Kenmore* Filter 46-9906, 9906. The FFFD-311-1 is tested to meet NSF/ANSI Standard 42 & 53, Particulate Class I, to ensure that you are getting a SAFE, quality product. Fridge Filterz are manufactured to the highest quality standard, providing you and your family with clean, odour free ice and water without removing beneficial minerals and fluoride that may be present in your drinking water. Fits refrigerator models beginning with 253 or 970, which were produced before the 2001 energy standard. Exterior In-Line Refrigerator/Ice-Maker Filter This filter installs directly to the external water line so it fits all major brands of refrigerators and ice makers providing cleaner, clearer water and ice. It is WQA certified and reduces sediment and chlorine taste and odour. Push to connect fittings for easy do-it-yourself installation to 1/4 inch plastic or copper tubing. Lasts up to 9,500 litres.